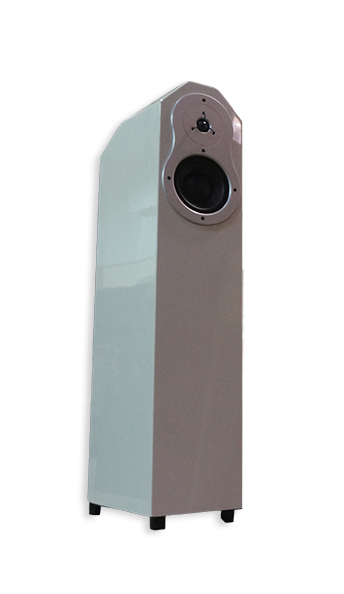 The new Dianne Signature SE makes major advancements to an already great speaker. In doing so, the Dianne Signature elevates itself beyond an entry-level product. EgglestonWorks has long held the belief that keeping things simple is better than over complicating a design.The Dianne exemplifies this philosophy in a straightforward manner. Featuring a single, dome tweeter and single 6” midrange driver, the Dianne seeks out the delicacy and detail in music and delivers it in a non-fatiguing way that has become the hallmark of the EgglestonWorks line. In his review of the original Dianne (here), Jeff Fritz with Ultra Audio says, “The EgglestonWorks Dianne made me want to listen to music more than any speaker that I can remember.” This is high praise of course, and we have to agree. EgglestonWorks has chosen a simple path to create a product that provides its owner with a truly enjoyable listening experience. The Dianne takes an important place among a line of award winning products. These seemingly small changes contribute greatly to already impressive performance as well as fit and finish. EgglestonWorks proudly presents the Dianne Signature Special Edition as the latest in a long tradition of the highest quality loudspeakers.